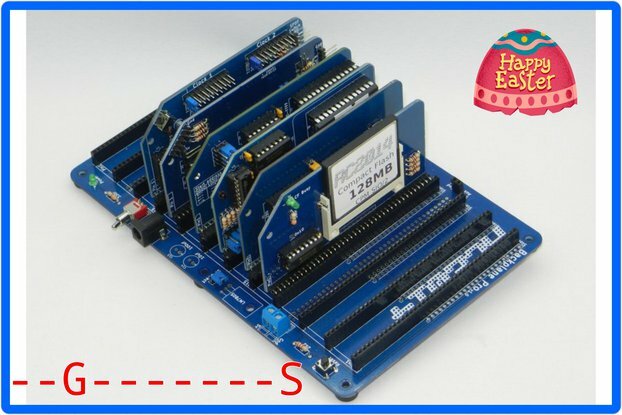 This module adds solid state disc storage to the RC2014. Primarily it is intended to be used for running CP/M when used alongside the 64k RAM Module and the Pageable ROM Module. It is not accessible directly from BASIC as supplied with the regular RC2014. Please be aware that the pitch of the pins on the Compact Flash socket is very fine, at 0.635mm (0.025 inch), which is a quarter of the pitch of the other components on the RC2014. With patience, a good eye and a steady hand it can be hand soldered on without too much trouble. If you prefer to use solder paste with either a reflow station or "toaster" oven, I now offer a laser cut stencil to allow the perfect amount of paste to be spread on the board. For those not brave enough to try, however, I will also be offering the PCB with this connector already attached and tested. Note that this might add a few days to the shipping time. This works great and is a must to use your RC2014 with cpm. The quality is very good, the seller very patient and helpful!